Share List Le temps du jeu du fruit ! The time of the game of fruit ! 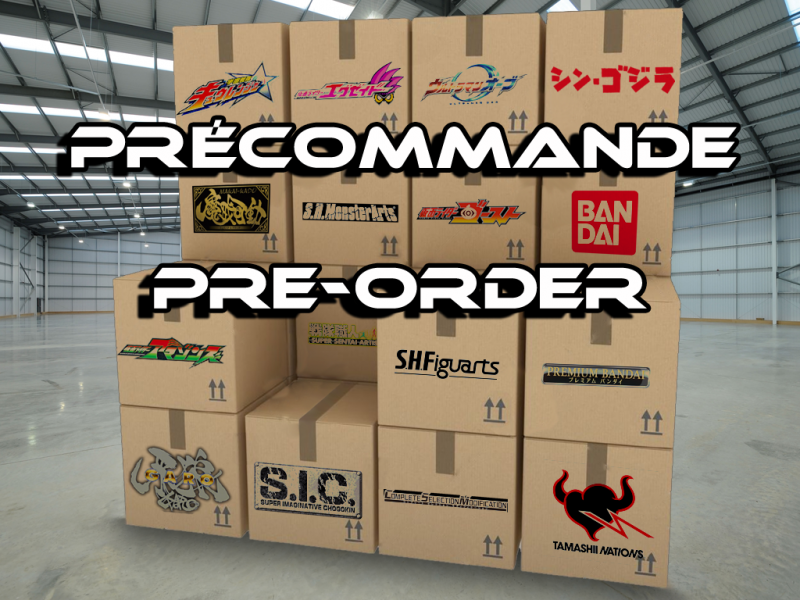 "Rider Hero Series Kamen Rider Zi-O GaimArmor & RKF Ex-Aid Action Gamer Level 2"
Share List La graisse du dragon et l’évolution de la construction ! The grease of the dragon and the evolution of the build ! "RKF Legend Rider Series Kamen Rider Cross-Z, Grease, Evol Cobra & Cross-Z Build"
Share List La montre du volatile robotique avec les armures spatiale et animale ! The watch of robotic bird with space and animal armors ! "Kamen Rider Zi-O DX Taka Watch Roid & RKF Rider Armor Series Fourze and OOO"